Tributes continue to be paid to Sir Kyffin Williams, the leading Welsh painter who has died at the age of 88. Sir Kyffin was renowned throughout the world for his stark oil paintings of his native north Wales' landscape, as well of his portraits and drawings. The Royal Academician died on Friday in a nursing home on his native Anglesey after a battle with cancer. Geraint Talfan Davies, ex-Arts Council of Wales chair said "iconic" Sir Kyffin had done "a great service" for art. And David Mortimer Jones, chair of the Royal Cambrian Academy of which Sir Kyffin was president, said now was a fitting time for a memorial to the painter. Meanwhile, Oriel Ynys Mon said they hoped to push forward with plans to extend the gallery to house 400 of his paintings donated to them although £1.4m in funding is still needed. Mr Talfan Davies said "iconic" could be used to describe Sir Kyffin because many of his paintings were hung like icons in many homes throughout Wales. "That was the source of his popularity, he put his finger on something that connected with so many people, " he said. "He was a figure - probably if you asked people in the street can you name a Welsh artist Kyffin would be there at the top of the list and he was a significant figure for half a century." Describing the artist as a "kind and generous man", Mr Mortimer Jones said Sir Kyffin had backed the Royal Cambrian Academy to supporti Welsh art. "He wanted to give young artists encouragement recognition because he realise how important that was - when you're a young artist coming up to have that support is all important. "We know he was very critical of contemporary art...he had very strong views But he was also very open minded, much more open minded than people might imagine." 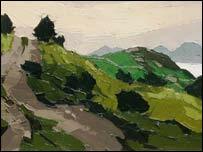 And Robin Tomos, from the National Eisteddfod where the painter was both exhibitor and adjudicator, said Sir Kyffin had "strongly believed in its significance as a stage for art and "he supported the cause loyally, though exhibitions at the festival often raised his ire over the decades." 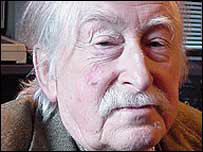 "Kyffin was always prepared to speak his mind about the nature of art in Wales. He believed passionately that art should improve mankind's lot." Tributes have also been paid to Sir Kyffin's work outside art, including by Shelter Cymru of which he was vice president. Director John Puzey said: "Even as his battle against cancer was coming to a close he continued to take great interest in our work. "Within the last month he wrote the forward to the brochure for the charity's annual art auction and once again he had donated one of his original paintings to the charity." Welsh Conservatives leader Nick Bourne said: "We have lost a truly great Welshman...his work was inspirational and his talents irreplaceable." Welsh Liberal Democrat culture spokesperson Eleanor Burnham said "he had a personal touch and an unique gift that will never be reproduced". "The word iconic is over-used but in this case it's accurate"